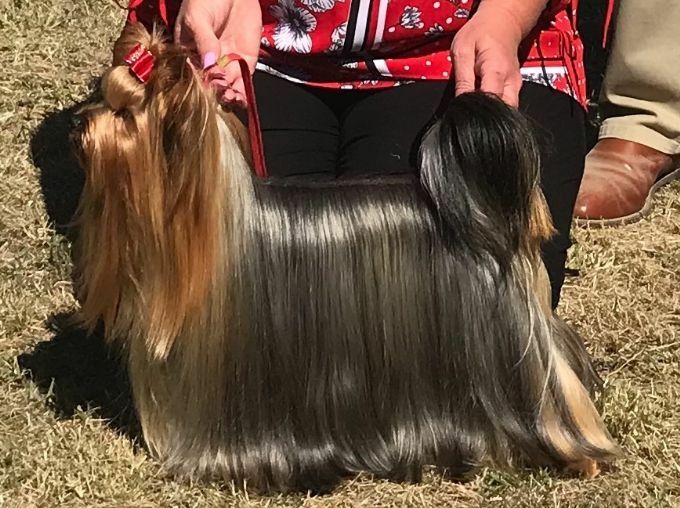 Tetley is the 2nd and youngest Yorkshire Terrier to gain this title in Australia. Huge Congratulations and many thanks to his breeders Malcolm and Linda Shaw on your first Supreme and for allowing Tetley to be mine. 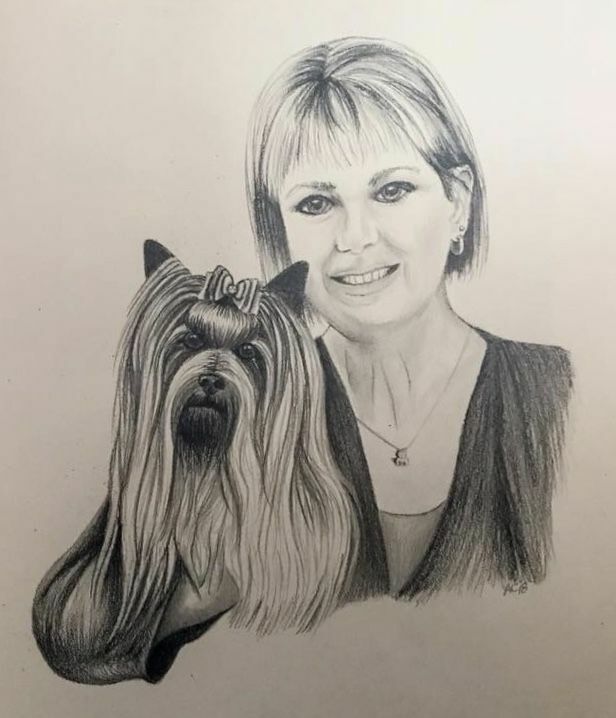 Also we could never have made it this far without my nearest and dearest, Valerie Morse who has been with us every step of the way and my husband Wayne Burton who stopped me clipping off Tetleys coat in July last year and encouraged me every week to get up at ungodly hours of the morning to groom before our shows. Remembering of course my Mum, who at the lowest of low in my life bought Tetley for me as a new beginning. After weeks of looking at pics and waiting for him, very sadly my Mum passed two days before his arrival. I believe she was with us during his journey and I hope she is raising a glass for us tonight. 1,000 points, including 3 All Breeds Best in Shows; or 10 Best in Group/Multi Breed or Breed Specialty Best in Show. Either 3 different Best in Show Judges or 10 different Best in Group/Specialty judges must be submitted, there can be no repeated judges.